The 2016 SavingsPinay Reader Survey reveals that 99% of people who visit and read this blog are Women specifically Pinays. This revelation helped me to realize that I need to create more posts that involve women empowerment in the area of finances. I need to add valuable posts that encourage women to save, budget, invest, start a business or do some career advancement. PS. If you haven't participated in the survey please do! Just CLICK HERE. And so starting this week we'll incorporate an article for money savvy Pinays. 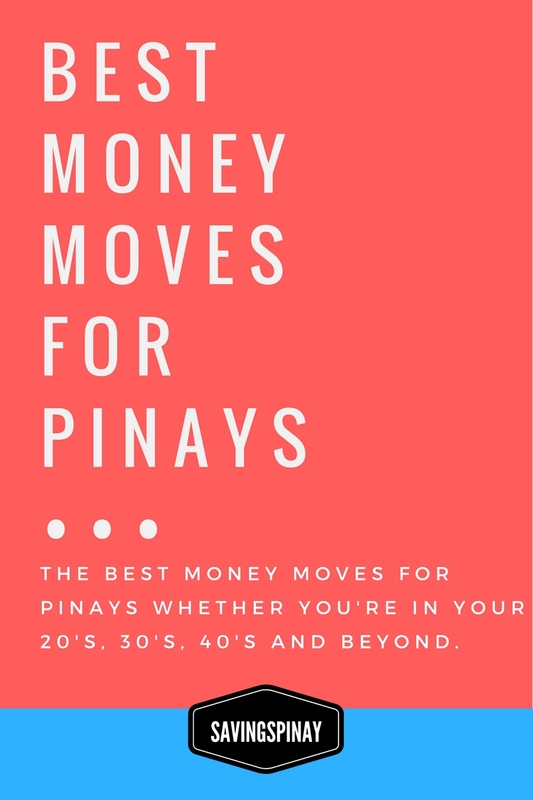 Let's start with the Best Money Moves for Pinays whether you're in your 20's, 30's, 40's and beyond. With tons of money issues women are facing I hope these moves will make you face the challenges better. Pinay mommies who have free time when kids are at school for example can spend at least 30 minutes read financial blogs, books and/or watch videos on YouTube about money resolution. You can also attend free money seminars if its near your house and you have free time to attend. The internet is even more generous when it comes to information that could enrich your financial know-how. READ: Financial Literacy: The Key to Growing Your Money Unknowingly! I love setting goals and to be honest it had helped me become more money savvy in life. The more I write down my goals the better I feel inside and the better I can focus on my next actions in life. As long as your goals are specific, measurable, attainable, realistic and timely it most likely become a reality. Do not be afraid to set personal and financial goals every year, every month and every week. READ posts about "goals" here. Its very important that you inculcate the value of saving from your first paycheck ever. If you learn to save on a regular basis then you'll surely have enough for the rainy days. The earlier you start saving your money and building the funds of your life, the lesser hardship you'll face in the future. Try to do the 50-20-30 Rule of Budgeting wherein 20% of your income is meant for automatic saving. Pinays should start to building an emergency fund especially if the financial responsibility is still low. Emergency funds are money meant for unexpected financial needs such as loss of job, death of family member and/or accident/sickness in the household. If you've successfully built an emergency fund earlier in life then you can now focus more on making your money grow. READ all posts about Emergency Fund HERE. Women shouldn't be afraid to invest in stocks. I did my first investment vehicle, a FAMI-SALEF mutual fund at 19 years and I have no regrets whatsoever. Its nice to see your money work for you, to learn on how stocks perform and so on. Soon I'll be investing of direct stock market so I could diversify my investments more. You too can prioritize your investments. As soon as you've secured an emergency fund then the next best financial move is to invest. Taking the opportunities to invest in equities/bonds can grow your money better. Women have a lot of talents that could be potential means of extra income. Look into yourself and see what hobbies you can turn into cash. Whether it be hair and makeup artist for hire, making handicrafts, baking goodies, etc. maximize your spare time and start a side income. Become a money-making machine and strive hard to earn more money. A wise woman knows how to budget. Whether it be for personal shopping, travel or monthly household consumption, budgeting your money will enable you to have better grip on what comes out your kaban. You can choose to budget traditionally via pen and paper or better yet use apps available in your smart phone so you can bring your budget conveniently anywhere, anytime. The key is to commit to your budget and stick to it so it would turn into a habit. Make sure to visit THIS LINK for all article related to Budgeting. It would also be nice to start tracking how much you spend in a day. I first learned about this financial move with PinasforGood. She encourages everyone to take note of how much money came in and specially out of your wallet. I did an easy DIY Spending Tracker for your reference. Again as women we have a tendency to become shopaholic and spend with our emotions instead of our mind. This results tp negative balance payday after payday that will make you mentally, physically, emotionally and of course financially unhappy. It would be best to become a smart shopper and counter your shopaholic syndrome. Avoid credit cards as much as possible and pay in cash so you'll have better control of your finances. You can learn more on how to become smart shopper HERE. Make it a priority to get out and stay out of debt as soon as possible. This could make your finances in order and will make you get ahead of your money issues in life. If you inherit a debt from parents then make sure that you do the little things that could straighten everything out. READ my SavingsPinay Series on Debt Management for more information. As women we have a tendency to overspend on unnecessary stuff. Learning to live below your means will help you avoid debt and kick start a better money management. Study your payslipand accumulate just enough on your expenses. Also remember to follow the golden rule: Savings - Income = Expenses. You should automatically put money on your savings first before anything else. Always remember The Top 10 Most Important Lessons in Personal Finance. It is also important that you know your worth as a woman in the society. You are not just someone to stay at home and take care of the kids. There are a lot of things you can do to maximize your spare time and have opportunities in life. Do not settle for the ordinary because the fact that you are a woman makes you extraordinary. 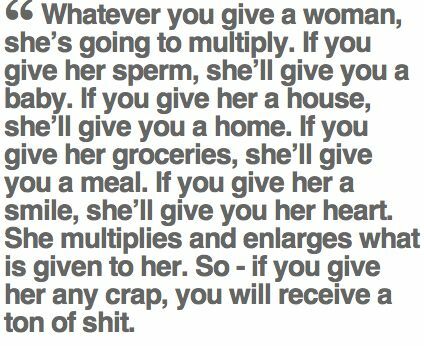 I actually love this quote I saw in my Facebook feed for it speaks a lot on the amazing things women do. I hope you like this post. There's a big chance that I will update this from time to time with more Best Money Moves for Pinays. 1 comment on "Best Money Moves for Pinays"